Create your own layered papercut with this beautiful template. This template is exclusive to Paper Panda. This template is provided as an A4 print ready, flipped PDF. Step by step instructions are also included for those unfamiliar with assembling three dimensional papercuts. Infill/topfill elements are provided within the template. Image shows artists efforts with the template. 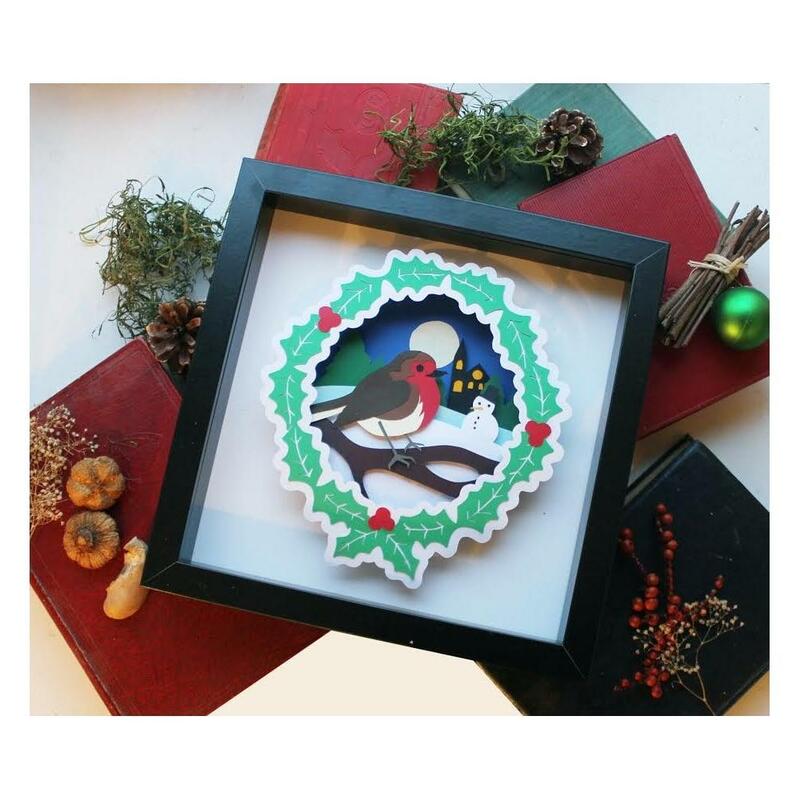 The 'Robin Mix Hammered Paper Pack' has been put together just for this template, available here. "I'm a graphic designer and have always had a love affair with paper, I started cutting it in 2015 as a natural progression from illustration, inspired by the wonderful support of the Paper Panda group I ventured turning a hobby into a business and I'm enjoying learning more every day."